Set up decoys and blinds in the field before daybreak and wait for the sunrise. Shoot geese and ducks as they commit to our decoy spread. 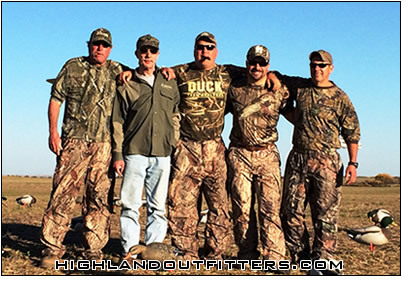 Head out mid to late afternoon for the evening hunt which can either be a duck hunt, Sandhill Crane hunt, upland hunt, or even another goose hunt if you’re here after October 15th.